Ben-Zion (Benchie) was born on September 9, 1919 in Koppies (the 14th day of Elul) and named after his paternal grandfather, although he was officially registered as Bernard Judelman. Benchie was almost 9 and Isaac 16 months old when they lost their father and Millie never remarried. They moved back to Bloemfontein in 1929 where Millie’s family was living. 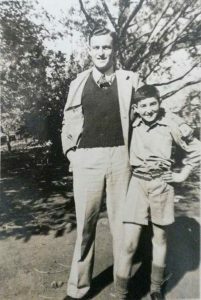 Benchie graduated from high school in December 1936 and asked his mother for a one-way ticket to Johannesburg, which she reluctantly supplied. He worked during the week and on weekends decided to fulfill a boyhood dream of taking flying lessons at the Rand Flying Club in Germiston in conjunction with the “pupil pilot’ scheme of the S.A.A.F. He managed to accrue 93 hours in all before Millie got wind of it and had her brother bribe him to stop. While staying with friends in Johannesburg, he met and fell in love with Sybil Lilian Leiman, whom he described as “a jocular girl full of fun and life, an accomplished pianist; her music was balm to my tortured soul. She also had pretty legs!”. 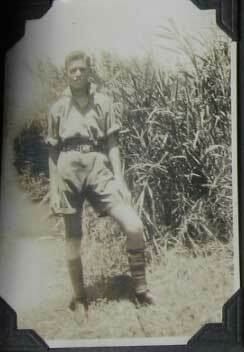 Benchie joined the South African army in 1939. 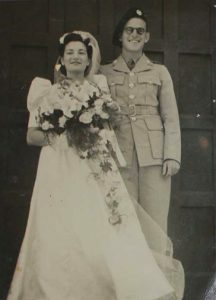 He and Sybil got married on October 29, 1941 in Johannesburg. 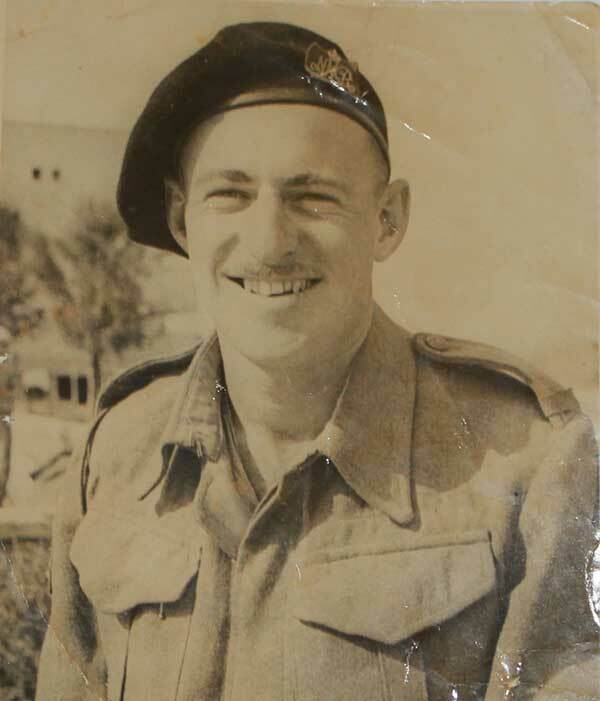 During the last years of W.W.II he was deployed in Italy and Egypt. 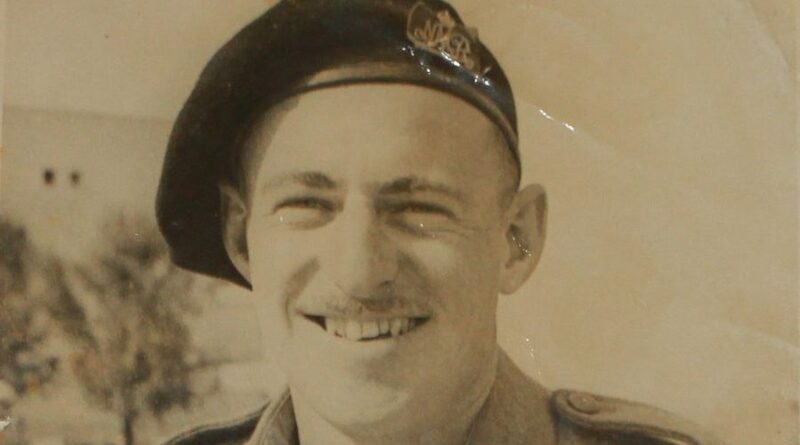 While on leave in Palestine in 1944, lured by the smell of the orange blossoms, as the story goes, he made the decision to emigrate there with Sybil after the war. They arrived in Palestine with a group of “Chalutsim Chayalim” on October 6, 1945 after traveling by boat from Durban to Port Tewfik, and by train to Haifa. Upon registration as an immigrant, Sybil was offered the Hebrew name Ziona which she happily accepted given its reference to Zionism and the match to her husband’s name! They settled first in Kfar Giladi, preparing to participate in the establishment of kibbutz Maayan Baruch. Sima was born on October 14, 1946. After the War of Independence they migrated south until they settled down for good in Kfar Mordechai, near Gedera, a privately owned farming community originally settled by English-speaking immigrants (known in Israel as ‘Anglo-Saxim’). They moved into a ‘luxurious’ half of a ‘tzrif’, when Elna was 11 days old (born on July 20, 1950), and moved to permanent housing two years later. Ora was born on March 10, 1954. In 1966, as a family we decided to change our surname to ‘Yadin’ in response to a national push towards Hebrew renaming. Ben-Zion and Ziona were married for 65 years. They farmed and worked other jobs to make ends meet, participated in the life of the moshav and their adopted country and traveled to visit family and friends around the country and the world. They marveled at and were sometimes chagrined to see the changes as Israel was fast evolving into the country it is nowadays. Sybil died on September 7, 2007, and Ben-Zion on February 20, 2009. With typical self-deprecating humor, Ben-Zion the farmer often joked that his best yielding crop turned out to be his 3 daughters and their families! Old-timers from Kfar Mordechai often noted that they could overhear beautiful piano music produced by Ziona tickling the ivories, or thunderous bursts of laughter emanating from the house. Like numerous others, this is a story of struggle, survival and fulfillment. Just like the arid land they came to, which through blood, sweat and tears turned into a thriving and verdant oasis.